A new and free plugin has been released last week. The UPagebreak plugin to add some "highly needed" options to style the display of Pagebreak buttons. This plugin was first created for internal use to provide some better options when writing online documentation using the standard articles. After we've tweaked the default plugin to our own needs we realized we are probably not the only ones who could use that plugin. Check out the features on the Upagebreak product page or download it to try it. The plugin is based on the original Joomla!™ Pagebreak plugin and is totally free for you to use for as long as you need it on any website you want. Enjoy it! We have a new Joomla!™ module to offer in our products range! One that can be seen as the follow up (or replacement for the BreadCrumbs Advanced Plus module. So we think there are a lot of new features to discover. 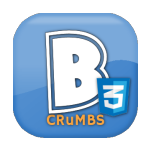 For more information and examples of the animations you can browse to the product information of the BreadCrumbs CSS module. Finally it's ready - the support ticket system displays as it should! The input fields are good readable now and you do not have to click any tabs seperatly to read it's contents. The color styling is more adjusted to the layout of our website which make it better readable instead of a color rainbow on your screen. Feel free to use the easier accessible support system - we'll try our best to assist you. Or you can read the topics already present so maybe it can answer your question even faster. 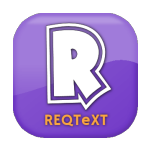 It has been a while since a ReqText plugin update has been released. So we thought it is about time for some new features. This new version contains a few bugfixes (ofcourse) but also a lot of code is optimized for faster processing of the plugin routines. But the biggest change is the implementation of global settings for the ReqText plugin. In the previous versions of the plugin it was necessary to set the ReqText options for each product (every time). Starting from this version that is no longer needed (but can be done if you wish). You can now set the global options upon setup of the custom field and use it for every product needed. But you can overrule these options for each product individually. That is a great feature everyone missed in this plugin. All the changes for this version can be found in the "Release notes" in the donwload section of our website. After a server migration last week - unfortunatly - our website e-mail had some failures when sending mail. 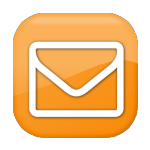 It could be you haven't received e-mails about updates from the Support Ticket System or the contact form did not send your request to us. We are sorry for this discomfort and if you're (still) waiting for an answer to your e-mail, please contact us again. The support tickets are updated correctly on our site so users who are waiting for a suppor answer can find them in the correct support category. Only the update of these answers had e-mail troubles. Finally! Digifolio J!3 is here. Yes, you've read it correctly! Digifolio for Joomla! 3 is finally finished! With a delay over more than a year we are proud to release version 3.00 of the Digifolio component which is reprogrammed for use in Joomla! version 3.x. We had never set an actual release date for this version but due to company projects the deadline kept on moving further and further until today! What has this new version to offer for you? Well, ofcourse a compatible restore function for backups of the Joomla! 2.5 version of Digifolio (v.2.x) and extra lightbox popup possibilities. CSS themes are also integrated and more fonts to use for watermarking are also added. Almost every source file is rewritten so the component can be used in Joomla! 3. Ofcourse all the features from Digifolio 2.x are preserved and most are extended or improved. 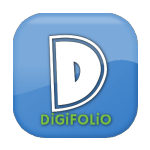 Just install Digifolio 3.00 to see what's new and how fast you can setup a portfolio on your website(s). Starting today a new version of ReqText for VirtueMart is available. We've arrived at version 1.52 for this fine plugin. The bug that existed in some cases was the display of 0.00 for a uses selection which needed to display a different value, is fixed. Fixed for the Cart view and the order view! We've also added the possibility to hide the hint balloons which are displayed when setting the ReqText custom configuration for a product in the backend. You van update to the latest version using the Joomla! update page in the backend of your website. Attention: you need the set the DownloadID in the ReqText plugin to use this functionality. You can find this DownloadID in the dropdown menu "Personal" when you're logged in at our website. Or you can download the packaged in our download section - but a ReqText Subscription is needed for that.